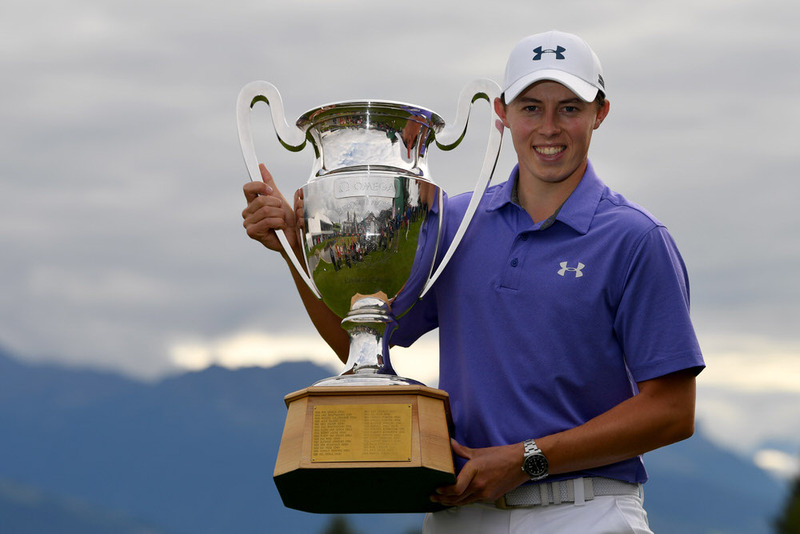 England’s Matt Fitzpatrick claimed his fourth European Tour title in dramatic fashion when he overcame Australian Scott Hend on the third playoff hole to win the Omega European Masters. The 23-year-old emerged victorious from the two-man battle courtesy of three pars on the 18th, becoming the youngest Englishman to win four European Tour events. But he looked dead and buried on the second extra hole as Hend had a four-footer to win before pulling his birdie effort left of the cup to the gasps of the galleries. Hend suffered a disastrous bogey at the next time of asking, finding the fairway bunker with his drive before knifing out to the back of the green and failing to get up and down, leaving Fitzpatrick with two putts to clinch the historic title. He duly obliged to make it three consecutive winning seasons on the European Tour. Fitzpatrick had launched himself into contention in regulation play courtesy of a scintillating six-under par final round of 64, reeling off three successive birdies down the stretch to take the outright lead before a bogey at the 17thpegged him back and gave him a nervous wait after signing for a 14 under total. Hend finished with three pars to card a two under 68 and earn a second playoff in as many years at this tournament, having lost out to Alex Noren in the 2016 edition. It was not to be once again for the two-time European Tour winner and he had to settle for back-to-back runner-up finishes at Crans-sur-Sierre Golf Club. Tyrrell Hatton of England and Paraguayan Fabrizio Zanotti finished three shots further back in a share of third place on 11 under. Greystones’ Paul Dunne closed with a level par 70 to finish tied 70th and earn € 4,536, leaving him 34th in the Race to Dubai with €762,814 from 20 starts. “It was absolutely nerve-wracking out there. I got off to a great start after the front nine and after the birdie on 10, I just felt like I was out there to compete and trying my best to win. It has been a long day. “It was a great final round. It was the lowest round of the week for me and it's probably my lowest round in competition here. It's always nice to do it on the Sunday. It's always very special. “I supposed no one wants to see Hend losing the playoff again but it's just one of those things and I felt bad about it. I played really nicely to win today. I love this golf course. It's fantastic. It really suits my game. My parents are here this week and it's really nice for them to witness my win. “I played the 18th hole five times today, one to finish my third round this morning and we escaped with a par there. I played a little bit more aggressively the second time in my final round. I was delighted with that as it gave us a chance to go into a playoff. I had a lucky bounce with the approach shot. It was just a case of hitting the fairways and the greens out there and if you get a nice number, you maybe take it on with a nice tight lie. “Scott hit it to five or six feet and I was saying to my caddy that the bogey on 17 in regulation will cost me the win. Unfortunately for Scott, he gave it away. I was fortunate to get the job done. I thought it was over when he hit it close but he played well all week. “I had the opportunity and I didn’t take it. It’s just what happens when you don’t take your opportunities. I hit a good bunker shot on the 18th in regulation play to get into the playoff. I hit that shot when I came back to finish my third round this morning. It was just insane out of the bunker. “I enjoyed myself a lot this week. It has been a great week here. It’s good to be playing in the last group today. Yesterday on the back nine, I struggled a little but I managed to stay in contention for the final round. “I think I hit pretty solid today. I could probably be playing in the playoff if I dropped a few more putts. But overall, I am happy with my week. This is my best result on this course ever and I have been here for nine to 10 times already so it’s definitely nice to finish top three. “It was nice finish for me to get back up on the leaderboard. The opening nine holes have been pretty frustrating. I lost my cool a bit. I think I made it difficult for myself but I am happy with how I finished. It’s another good week for me in Crans. “My long game has been pretty good all week, probably until the final 10 holes. I don’t feel like I have holed enough putts this week and unfortunately, that’s what it has boiled down to. But there are still a lot of positives to take from this week. 285 N Holman (Aus) 69 70 75 71.